Free movie apps to watch free 4K/HD movies on PC and mobile. This page gathers today's most popular top 10 free movie apps for Windows 10. Select and install the most easy-to-use Windows 10 movie app for downloading and watching free hit 4K/HD 1080p/720p movies on Windows 10/8/7. As well, it will introduce a popular way to free download any full movie in 4K/HD from YouTube, Dailymotion, Vimeo and 600+ movie video sites for offline playback on PC/Mac/iPhone/iPad/Android with the aid of a free online movie video downloader. Free download 4K and HD 1080p/720p movies, MP3 music for offline playback on Windows (10), Mac, iPhone, iPad, Android, etc. Popcorn Time is considered as one of the best free movies apps for Windows 10 and before, Mac, iOS and Android. It offers video streaming services, online new movies and TV shows. You don't have to log in or register, just download and start enjoying your favorite movies or highly anticipated blockbusters. And that isn't all. Besides watching movies, you can also keep track with the TV Shows, all available seasons and latest episodes. Crackle is an online distributor of original web shows, Hollywood movies, and TV shows. It provides PC, iOS and Android version for users to download with free full-length HD movies. Is free Crackle really free, safe and legal? This free movie app features a wide range of movies from the latest movie blockbusters to the classic ones you may want to watch. You can download and launch the Hulu app on Windows (10) PCs from the Windows Store, and freely watch hit movies and TV shows from HBO, Showtime, Cinemax and more. YouTube, the biggest video sharing site, is also a movie explorer to find all the information related to films, movie soundtracks, cast or crew members and explore their connections. This free movie app distributes thousands of free movies in different categories like War, Romance, Comedy, Fantasy, Drama, Musicals and much more. It is updated daily with new findings and new movies videos. You could free download Vudu app from Microsoft store on Windows 10 and watch hundreds of full-length top HD movies for free including uncut Hollywood movies. Many movies are free to watch and up to 4K UHD and Dolby Atmos Surround Sound. The movie library is organized in popular genres and is updated often. The Microsoft Movies & TV app allows you to watch latest blockbuster movies in 1080p HD and TV shows purchased from the Windows Store, the Xbox Store and the Microsoft Store, as well as movies & TV shows previously purchased on Xbox Video or Zune Marketplace. If you rent a movie from Microsoft, in most cases you will have 14 days to start watching the movie. And once you start watching, in most cases you will have a 24-hour window to finish watching the movie. After the rental has been viewed, or the time limits have been reached, the movie will automatically disappear from your collection. Free movie weekends are typically only viewable for a three day period. Flixster lets you watch movies trailers, showtimes and stream movies from your movie collection. You can browse the top box office movies, discover new movies and even look up showtimes at nearby theaters. You can also create your own movie watching list. If sometimes you can't find the wanted movie video resource in some movie apps or it doesn't allow to download, you can try an alternative for movie app. WinX YouTube Downloader, a totally clean and free online movie video downloader for Windows (10), enables you to free download any favorite movie video in 4K/HD 1080p/720p MP4/3GP from YouTube, Dailymotion and another 600+ videos sites at a lightning speed. No ads or virus. Free download and install WinX YouTube Downloader on your Windows (10) PC, and follow the 3 simple steps below to realize free downloading any hit 4K/HD movie on Windows 10/8/7. Launch free movie downloader for Windows (10) and click the "Add Url" button on the top left. Search for the wanted full movie/trailer video from YouTube/Facebook/Dailymotion or another 600+ video sites and then copy the movie video URL. Click "Paste URL & Analyze" to analyze the movie video automatically. 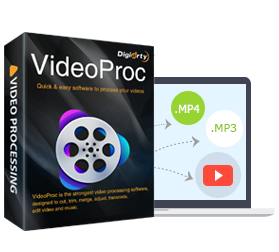 Only a few seconds later, you'll get a detailed video info list of the downloading movie video, including the video resolution, format, size, code. Choose one preferred resolution/format like 720p/1080p HD MP4 for the downloaded movie. Set a destination folder to save the movie video and hit "Download" button to start to free download full movie 4K/1080p/720p HD MP4. Then you can watch any full movie 4K/1080p/720p on HDTVs, iPhone, iPad, Android, etc. offline without online buffering. Advanced version of WinX YouTube Downloader. Best video/music downloader & converter, video editor, DVD converter, video/webcam recorder for Windows (10) and Mac. Ultrafast video processing speed with Nvidia/Intel/AMD hardware acceleration. Is MovieBox App Still Available on iOS 12/11? The best free movie downloader for Windows 10 introduced in this article can help you free download movies from YouTube, Dailymotion, Vimeo, Metacafe and alike sites on Windows 10 in a pretty simple and fast way. New best songs of 2019 list and MP3 free download guide. Free download latest top 40 new songs/albums 2019 in MP3 MP4 HD, download new English/Hindi/Tamil/Hollywood/Bollywood songs MP3/MP4 HD from YouTube, etc.